If you are looking forward to spending lots of time outdoors in the next few months, it is important that you take the proper steps to protect your skin. 1. Apply sunscreen with SPF 30 before going outdoors. 2. Choose shade over direct sun. 3. Reapply sunscreen every two hours as your skin absorbs it. Limit sun exposure, especially between 10 a.m. and 4 p.m. Wear a hat and long sleeves when you are out at mid-day. Use a skin cancer foundation — approved sunscreen with SPF of at least 15. Protect children. Preventing skin cancer starts early. Although in theory the SPF that we see followed by a number on every bottle of sunscreen refers to the length of time you can stay in the sun, it is important to remember that no sunscreen will stay on your skin for more than two hours. Dr. Jacob completed her residency at Tulane University School of Medicine in Dermatology and trained under Dr. Erin E. Boh, M.D., PhD, FAAD. 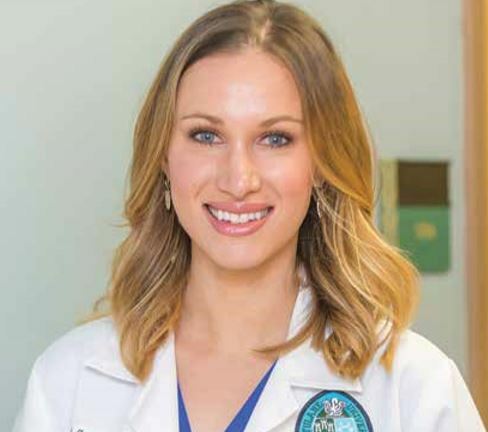 After five years in private practice she returned to Tulane in 2013 and now treats patients at all ages at Tulane Dermatology Downtown and Tulane Dermatology & Multispecialty Clinic.